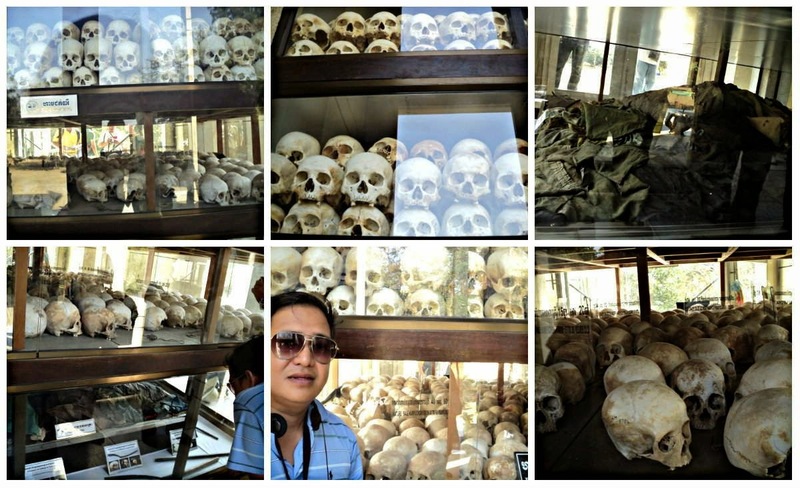 The Killing Fields (Choeung Ek Memorial), Phnom Penh | To Be, To Be. Tutubi. 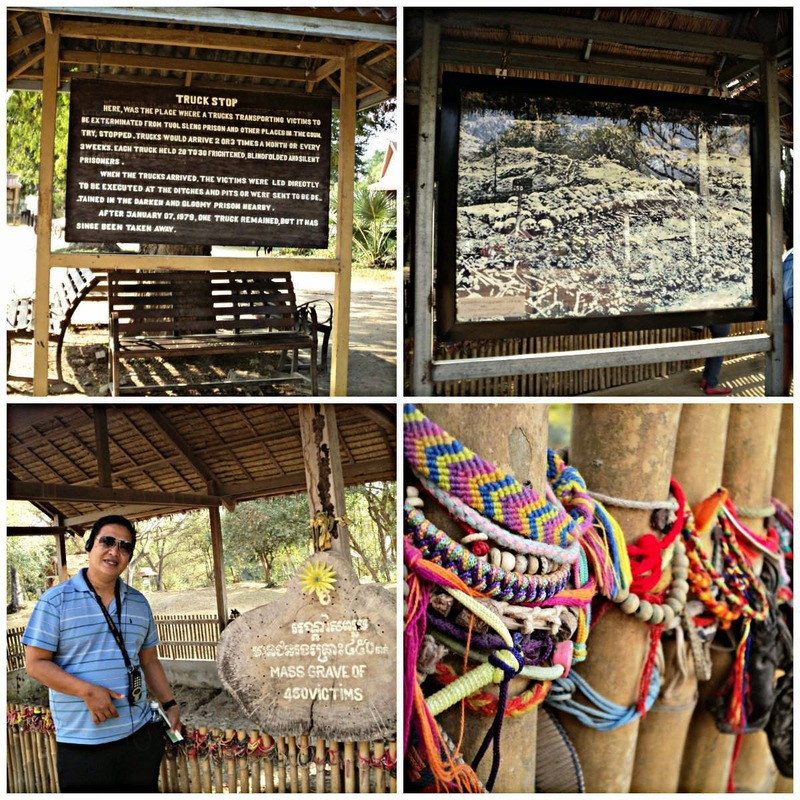 Our first itinerary for our half day is to visit the Killing Fields or the Choeung Ek Memorial. 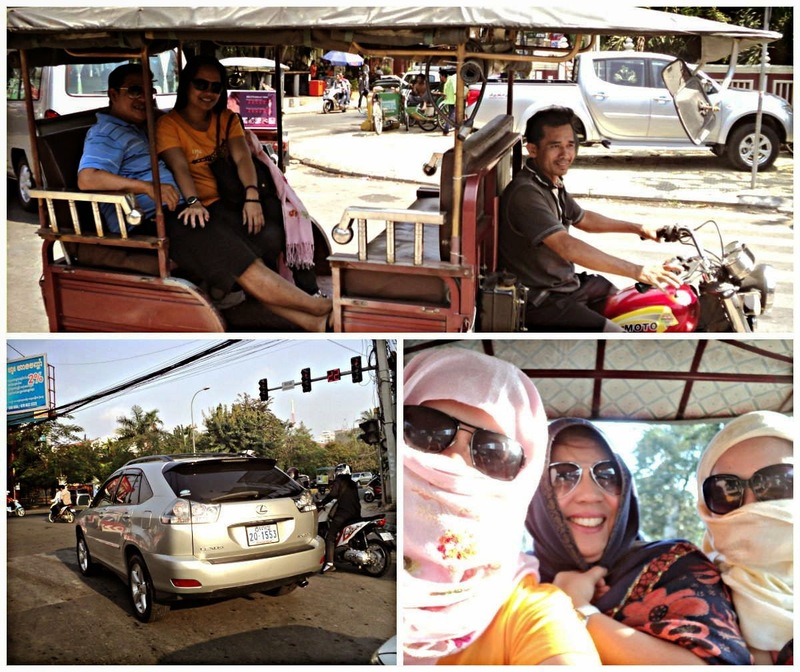 We rented the tuktuk for $15 for the whole morning. The ride was 30-45 minutes away from the Quay area and it was so dusty so we covered our whole faces during the ride. We were so amazed that there were so many Lexus in the city! 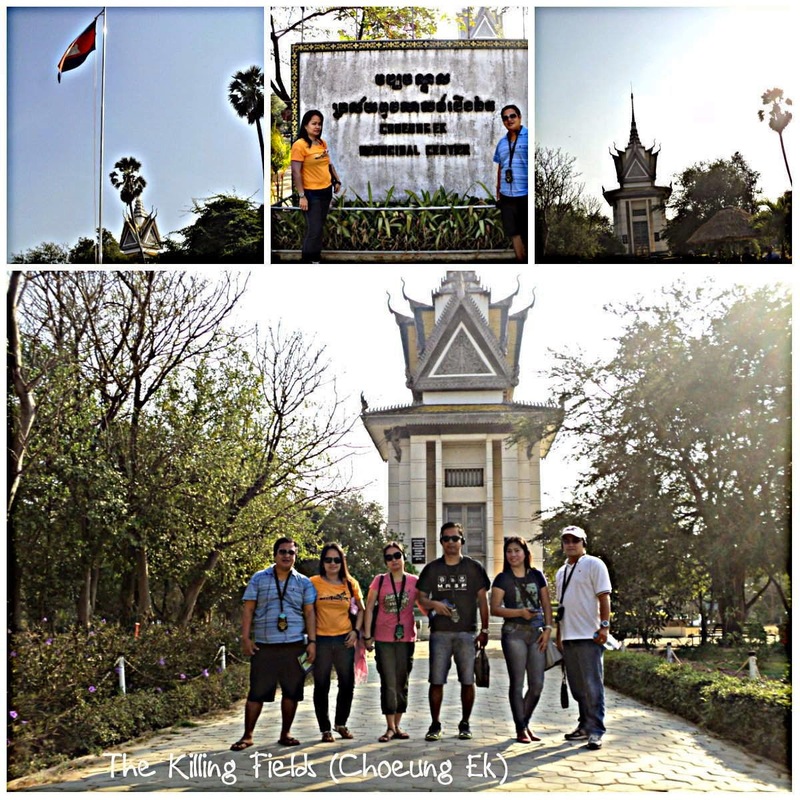 We were among the first to arrive in the Choeung Ek Memorial and we asked for the Audio tour for the 5 of them. I just followed them around and take their pictures. 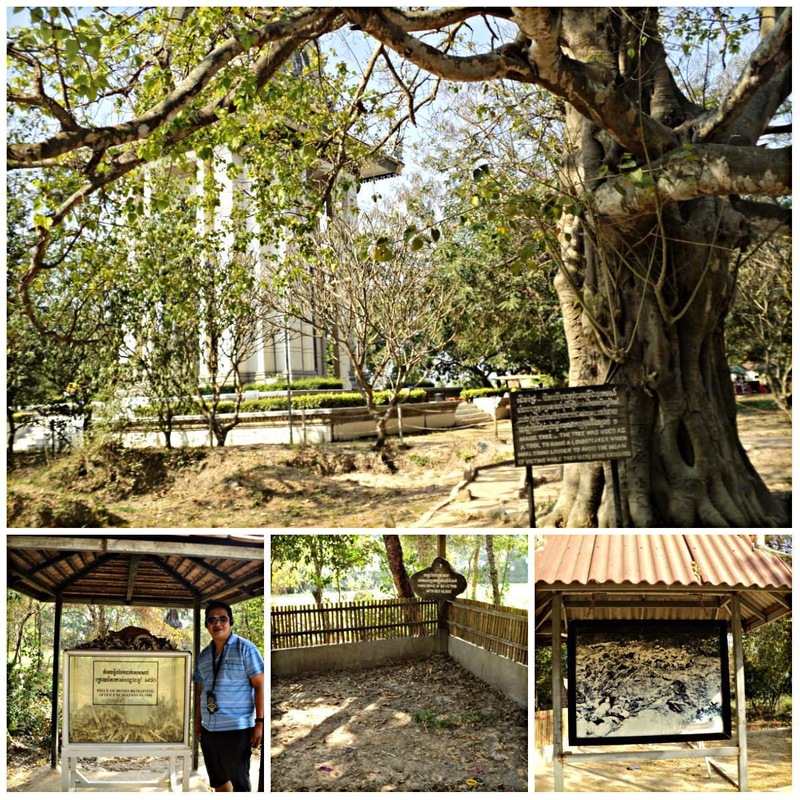 The visit is not pleasant, but is a must when visiting Phnom Penh. 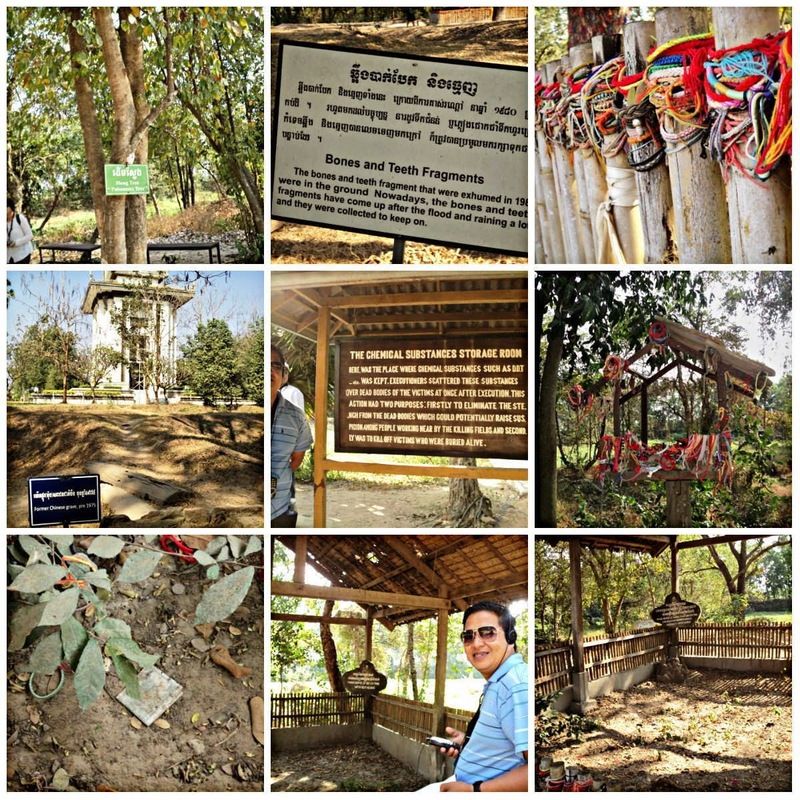 For more information on the Killing Fields, read here. The Killing Fields is one of the many and I think the biggest killing field during the gruesome reign of Pol Pot, the communist leader of the Khmer Rouge. There were more than eight thousand bodies recovered in this site, among the more than one million people killed during the terror reign. The place was left mostly as it was found, where there were markers on how the place was used to execute people, such as the tree below, used to kill even babies. Their tender bodies would be slammed against this tree. Can you imagine such brutality? I couldn't help but cry here. Just some more sites were hundreds of beheaded bodies were found. A hundred-dollar bill on the ground. But who would take it, right? The stupa was built as a memorial to all that perished in the site. May we learn from these atrocities and may no human ever have to endure like this again!